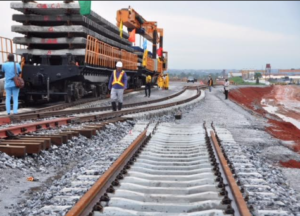 The Abuja Rail Mass Transit on Monday commenced commercial train services on the Airport-Idu-Central Area metro line, Mr Okey Ugwuanyi, Airport Station Manager, told Newsmen. Ugwuanyi said the Federal Capital Territory Administration (FCTA), had been running free services since the inauguration of the metro line by President Muhammadu Buhari in July. Ugwuanyi also disclosed that the management had only approved two trips per day into and from the airport, adding that effort was being made to increase the frequency as soon as possible. He added that more locomotives and coaches would be added to boost the conveyance of early morning passengers and airport workers. “We have been running free services for the past one month and today is the beginning of our commercial operation. “From this airport station to the metro station, we charge N1,000 per adult passenger; from here to Idu, we charge N500 and from Idu to Metro station, we charge N500. “We charge N700 from the airport to the Metro station and N300 to Idu for children while persons living with disabilities are being charged N500 and N250 respectively. “Our current operation is two trips per day from the airport to the metro station in the town and from the metro station to the airport. “The train takes off from Idu at 9:20 a.m. to metro station, leaves for the airport at 10.00 a.m. and arrives at the airport at 10:40 a.m.
“The train departs from the airport at 1:30 p.m, to arrive at the metro station at 2:10 p.m. while the second trip commences from metro station at 2:30 p.m. to arrive the airport at 3:10 p.m.
“Finally, it leaves the airport at 4:20 p.m. to arrive metro station at 5:00 p.m.,’’ he said. A passenger, Mr Chinedu Opara, described the metro line project as a good development, adding that the system had made movement to the airport so easy. Opara said the stress of looking for cab, paying high cost and the risk of insecurity on the road had been addressed by the rail line. He, however, urged the FCTA to look review downward the N1,000 ticket cost and increase the frequency of train service for greater access to more air passengers. Mr Ahmed Shehu, a legal practitioner, commended the government for completing the project, adding that the train station had added more beauty to the airport. Shehu, a retired Director from the Ministry of Transportation, said that the train service was cheaper, safer and faster for airport users than to using cabs. He that that the downward review was imperative in the interest of of the low and medium income earners who might find it difficult to use the train. “In every respect, this is a welcome development and a great relief because this is the kind of infrastructure that we have looked forward to getting from the government in the past. “Unfortunately, it is coming this rather late but it is a good development. “In terms of comparison with using taxi to and from airport, this is a lot cheaper, safer and probably even faster and in terms of the cost, no taxi can charge less than N3,000 to town but this is N1,000. “But again, relatively speaking, government still needs to consider the low and average income level of not only the users of the airport but the surrounding villagers as well. “Perhaps, N500 should be appropriate because the socio-economic environment of Nigeria is not so encouraging at the moment. “Youths are out of job and agriculture is rather unsustainable around here. So, I will say it is a bit costly and I appeal to the authority to see to it that this cost is reduced. “Our people should be accommodated in a manner that will enable them to enjoy the fallout of democratic government,’’ he said.